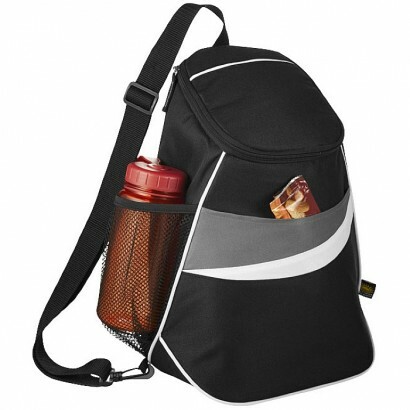 Sporty backpack sling shape with zipped main compartment that holds up to 12 cans. Open front pocket. Side mesh pocket. Single adjustable sling shoulder strap. Ultra Safe leak-proof PEVA lining. 600D Polyester. 400. 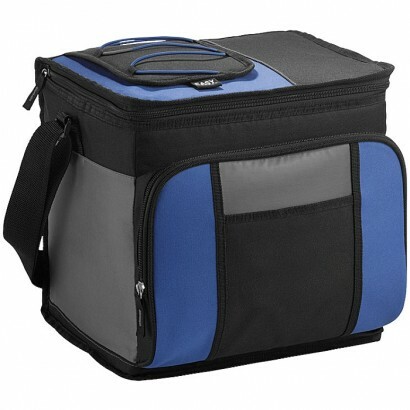 Zipped main compartment that holds up to 12 cans plus ice packs. 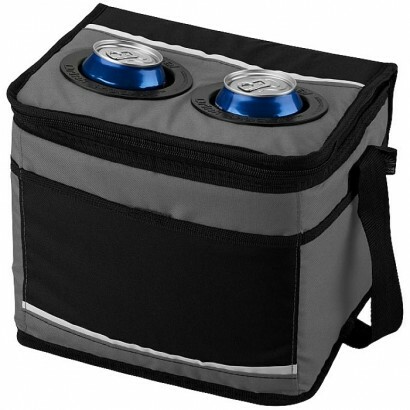 Patented Thermal Drink pockets on top of cooler for open beverage storage. Front pocket. Adjustable padded shoulder strap. Ultra Safe leak-proof PEVA lining. Collapses for easy storage. 600D Polyester. 300. Zipped main compartment that holds up to 24 cans. Zipped front compartment. Easy-access pocket allows for quick retrieval of chilled items. 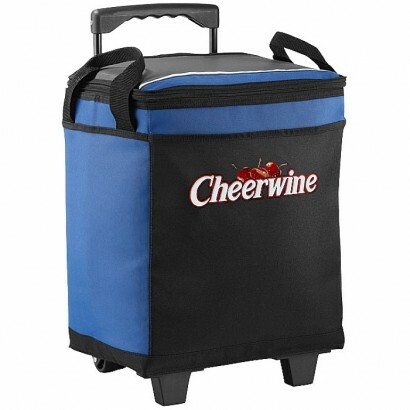 Backsaver technology combats the strain of carrying a loaded cooler. Ultra Safe leak-proof PEVA lining. Collapses for easy storage. 600D Polyester. 350. Great for outdoor events. 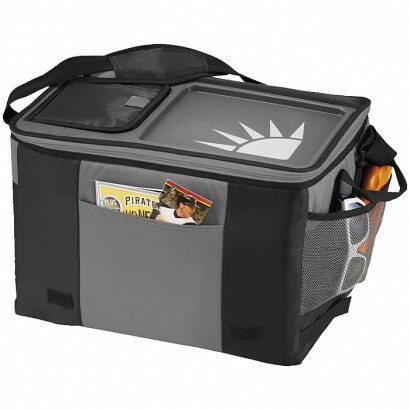 Zipped main compartment holds up to 32 cans. Open front pocket. Retractable telescoping handle extends to 38cm. Dual exterior carry handles. Ultra Safe leak-proof PEVA lining. Collapses for easy storage. 600D Polyester. 1360.